This package will make a BIG SPLASH at your party & you save over $100 with this great deal. The “Water Wars” package is always the most popular H2O package in our lineup. We will setup 4 inflatable paint ball barricades around the water slide with 10 super soaker water guns, water tag vests & refilling buckets. Players fill up their opponents vest by blasting them with water. Over time, a small cork rises to the top to indicate score. 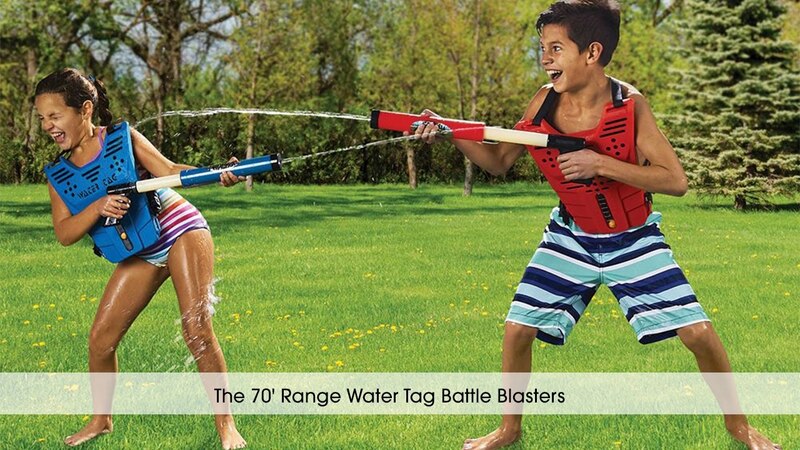 Of course, for most players it's about getting their opponents wet.